B. Thomas (Arlington, Texas, United States) on 9 January 2019 in Landscape & Rural. In January, 2013 I got to go on my bucket list dream trip to the French Polynesian Islands of Tahiti, Moorea, and Bora Bora. A lot of photos were posted here at that time, but there are so many more that I never got to. 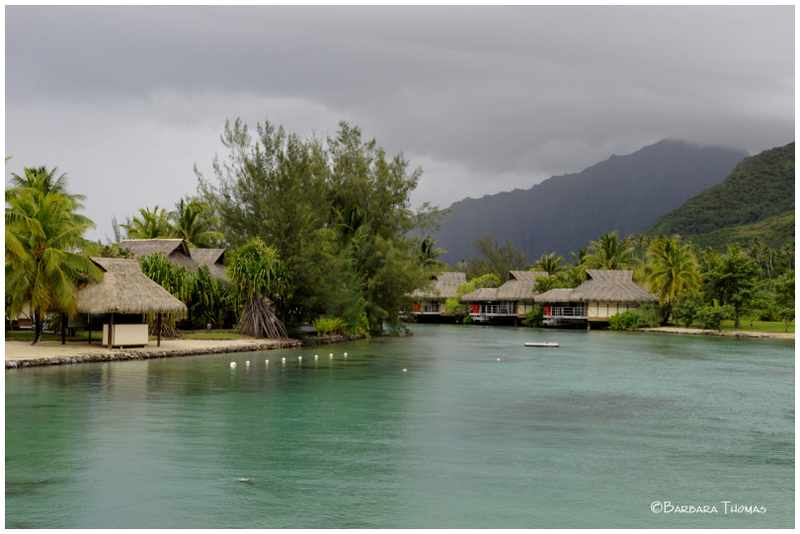 I want to revisit those island photos now starting with Moorea. Believed to have inspired the mythical Bali Hai from James Michener's Tales of the South Pacific, Moorea is one of the most scenically striking islands in French Polynesia. Typical lodging along the water or on the mountain side has thatched roofs like these at the InterContinental Moorea Resort. The image looks beautiful ! What a calm and lovely plce. One can just eat, walk, read and sleep !! A vacation and a place after my heart ! It was definitely a great trip and odo0tan with interest that you share your memories about this picture promises a lot. Situated in a lovely spot! What tranquil, turquoise waters to enjoy from the accommodations!! It must have been an amazing vacation! A place that I would love to visit! A gorgeous view! I love the color of the water! A very appealing place. Niche.